The region between the southwest of France and northeast of Spain is straddled by the Pyrenees. The northern foothills of the Pyrenees contains the French region of Midi-Pyrénées. The capital city is Toulouse, the fourth largest in the country. Toulouse has been the centre of spaceflight and the aviation industry for the last two decades. Lying on the banks of the River Garonne, Toulouse provided an ideal location for the construction of Canal du Midi; a UNESCO World Heritage Site, which allows passage from the Mediterranean Sea to the Atlantic Ocean. Canal du Midi remains operational to this day for tourism purposes. Toulouse motorhome rental, RV and campervan hire can be booked with Avis Car-Away Motorhome Rental and Big Sky Motorhome Rental France. Before heading out on your Toulouse campervan hire, soak up the capital’s carnation cityscape; which is dominated by red-bricked (hence its nickname as ‘la ville rose’) pseudo-Roman buildings. You can push the button fast-forward to the ‘Space City’s’ theme park and planetarium. These appeal particularly well to ‘tweens and teens. Adults may find Toulouse’s art and college scenes rejuvenating; a digression to archetypal French cities in large part to its history of Spanish republicanism. The culinary offerings are also not to be missed. Local specialities include foie gras (duck) and cassoulet (vegetable stew) and, thanks to its proximity to Spain, tapas. Given its large university population (second largest in France), you will also find its nightlife buzzing and cheap. Constructed under the reign of Louis XIV, the 150-mile long Canal du Midi and its banks make an ideal playground for travellers in campervan rental; especially as the Canal winds through several other towns and cities apart from the capital. Follow the Canal’s course down to the Mediterranean from Toulouse, and from there, trace the coast to France’s historical port and oldest city, Marseille. The glittering Cote d’Azur lies three more hours to the east. At the very end, you will be greeted by posh beach resorts found in St. Tropez and Nice where you can park your Toulouse motorhome rental. You may also opt to leisurely explore the shaded banks of the Canal, either by boat or bike, up to the River Garonne which empties to the Atlantic Ocean. Along the way, you’ll have the opportunity to sample the best wines in the world in Bordeaux‘ chateaux and wine trails, some three hours by Toulouse campervan hire. The Midi-Pyrénées measures larger than Denmark or Netherlands, so getting out and about by Toulouse motorhome hire is highly recommended, especially if you are coming for a Marian pilgrimage to Lourdes just two hours south of Toulouse. Devotees in search of miraculous healings and apparitions of the Virgin Mary throng this commune at the foothills of the Pyrenees; so having a camper hire assures you of accommodation and convenient transport despite the crowds. 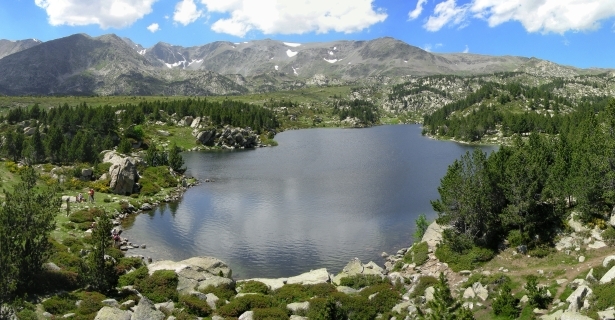 If you come for the views, a Toulouse motorhome rental, RV or campervan hire is ideal to give the Pyrenees National Park the time and appreciation it deserves. The varied plant life alone, 200 of which are endemic, merits a closer look. If you are particularly fit, a hike up the peaks presents proper challenge. Most of the mountains in the range average more than 10,000 feet. While here, don’t miss out an opportunity to take a jaunt into one of the tiniest countries in the world, Andorra; located right up the peaks at the border with Spain.